Moving is an exciting time, but it’s easy to become vulnerable if you don’t know your rights. You may feel like you have no control and are solely dependent on your movers, but that’s not true. All consumers in Texas have legal rights and responsibilities for moving in Texas. What Are Your Rights and Responsibilities When You Move in Texas? 1. It protects you and your belongings in case of damage or problems during the move. 2. It protects your mover in the instance of a dispute. 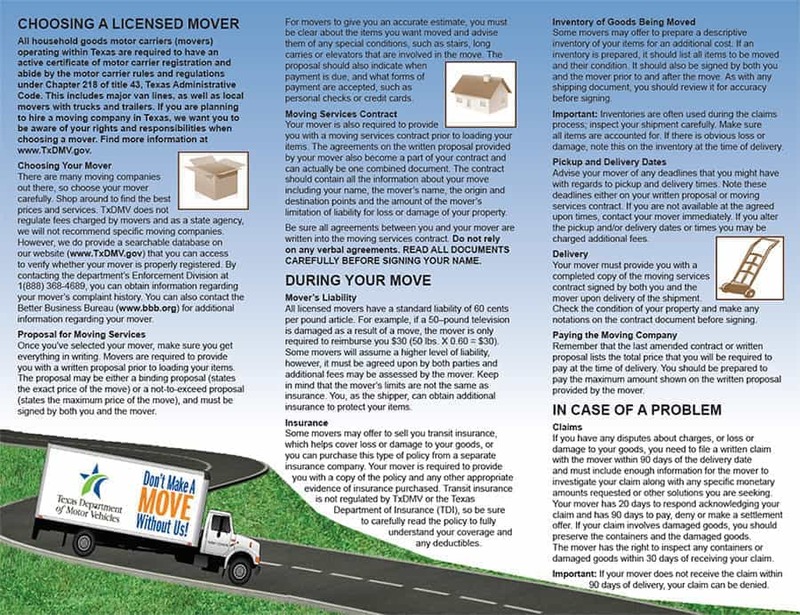 For this reason, any reputable moving company will either provide a copy to you in person or post it on their website. All moving companies in Texas, including small operations with vans, must have an active motor carrier license. 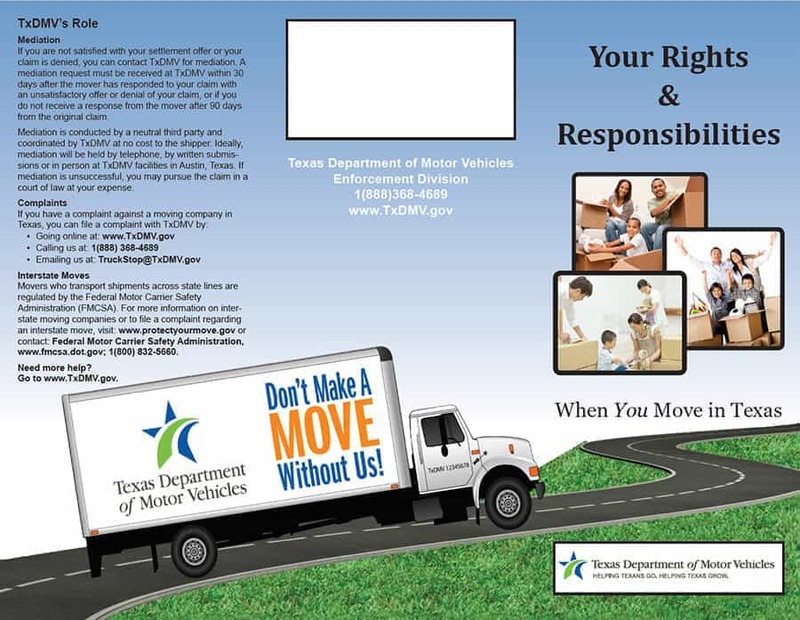 Check your moving company’s credentials through the TxDMV. Get a detailed moving proposal and read through your contracts carefully before you sign anything. All licensed movers have a standard liability for items, but they may also sell you more protective coverage, as per your agreement. Inventory is an optional but highly recommended step. Upon delivery, your mover should give you a completed copy of the contract. Make sure all of your items are accounted for and in good condition before you sign. Payment is due upon completion of the delivery. Make sure to file any claims with your mover during the first 90 days post-move. The mover then has 20 days to respond and 90 days to pay, settle, or dispute. If you and your mover cannot reach an agreement, contact the DMV for mediation or to file a complaint. Reading and understanding your rights and responsibilities for moving in Texas can save you time, money, and undue stress. You can read the brochure in its entirety below. Reputable movers like Ameritex can help you empower yourself with the knowledge to make your next move the best it can be.